MicroGaming are one of the pioneers of online gaming, launching the world’s first true online casino back in 1994 and has remained at the top of the industry in the two decades since. The company offer many products from their Isle of Man headquarters, including Casinos, Bingo, Live Dealer games, sportsbooks as well as of course, poker. The poker network consists of nearly thirty top poker rooms, the majority of which will share the same tables and tournaments – MicroGaming not actually signing up players themselves, simply supplying the numerous sites with the software and the ability to host their own poker rooms. 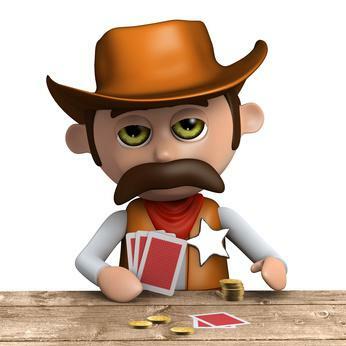 MicroGaming poker began life as Prima Poker back in 2003 and has had many notable moments in their history, including hosting the Monte Carlo Millions in 2004, having the largest ever online pot in 2006, introducing anonymous tables in 2010 and launching their mobile poker platform in 2011. In this guide to MicroGaming poker I start by looking at the types of poker you’ll actually be able to play on the network before detailing how the network compares to some of its rivals. Then you’ll find a list of some recommended sites on the network, highlighting the bonuses you’ll receive when joining. Lastly, you’ll find an overview of MicroGaming poker. The MicroGaming network is a high traffic network, although it wouldn’t be classed as the busiest in the industry. Never the less, there is enough traffic for you to be able to enjoy a game, even at the higher stakes, at any time of the day. The player base has something of a reputation of being relatively weak, this due to many of the players at the rooms coming from a poker site which is affiliated to a sportsbook, meaning you’ll find many players simply gambling their sportsbook ‘winnings’. MicroGaming software is very solid with no particular frills, but does offer games in a number of currencies (including dollars, Euros and GBP). Players who enjoy making use of software to enhance their poker experience will be glad to hear that the games are hold’em manager and poker tracker compatible. Varieties of poker include the obvious Texas Hold’em, Omaha and 7 Card Stud, with no-limit, pot-limit and fixed-limit games available. Blaze Poker is their fastest paced game where you’ll join a new table as soon as you fold – this can be played at 6 player tables as well as heads up games. You’ll find a great range of tournament types, perhaps the most original being the survivor tournaments, where the bottom 10% of the field at the end of every level are automatically eliminated – don’t get left behind! Here is an article which covers more on Fast Fold Poker Games. As with all casinos and poker rooms, I always recommend readers stick to the biggest and best names. Rooms with a long standing reputation for looking after their players and the best bonus offers is a combination which is hard to beat. 32 Red – This site is based in Gibraltar and has one of the best reputations in the industry. You’ll be able to enjoy both a download poker site and a flash site for instant play. Gain a welcome bonus of up to $1,000 and enjoy regular rewards and special offers. 32 Red are UK Licensed too, I recommend this site for all of your betting, casino and poker needs - see www.32red.com for the latests promos and offers. Betway – Based in Malta, Betway have been in the gaming industry since 2006 and are certainly having an impact in the gaming industry with their high profile sponsorship of sporting events. Join Betway poker and enjoy a 200% deposit bonus of up to £750. Betsson – Betsson is a Swedish company with over 50 years’ experience within the gambling industry – their poker arm now based in Malta. Sign up and enjoy a choice of bonuses, the biggest of which can earn you €1,000. Betsson are known for their contests and leaderboards. Stan James – Stan James started out in 1973 making them one of the longest standing gambling companies in the industry. Originally in the UK, the poker arm of their site is now based in Gibraltar. When signing up you can enjoy a welcome package that includes a 200% sign up bonus, a 20% instant cash bonus and a $10 casino token. Bet Victor – Another site which has moved its poker arm to Gibraltar from the UK, this company was originally founded in 1946. Bet Victor are another company who are renowned for their sponsorship of sporting teams and events. New players at Bet Victor poker can enjoy a 200% deposit bonus of up to $1,000, as well as entry to a number of freeroll tournaments. As you can see from the list of licensees to MicroGaming, this is one of the most popular networks in poker. Each individual site on the network do a great job of making the experience original, with differing offers and promotions, although they all come together to offer the same player pool. Joining a MicroGaming site gives you a wide range of games, some original formats and perhaps most importantly of all, games you can beat! I strongly recommend 32Red for all MIcroGaming systems - check out their latest deals at www.32red.com for yourself now!